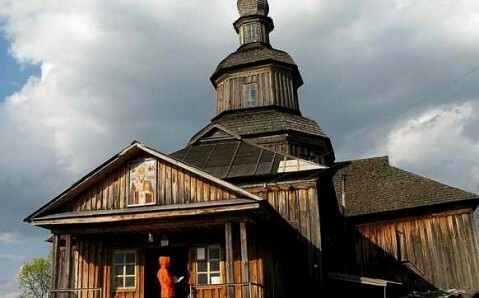 Unusual and attractively harmonic St. Nicolas Church is one of the Novhorod-Siversky's most amazing cultic buildings. This fabulous temple is rightly considered to be the prominent monument of 18th century's wooden architecture and is town's true adornment. 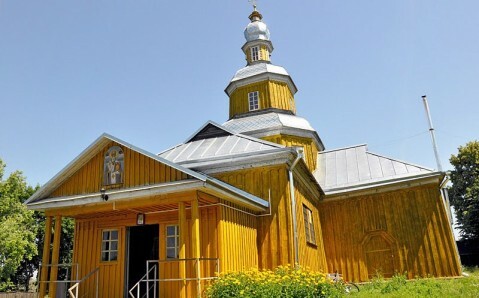 The first wooden temple in honor of St. Nicolas - the travelers', seamen's and traders' patron saint - was built in Novhorod-Siversky as far back as in 1086. 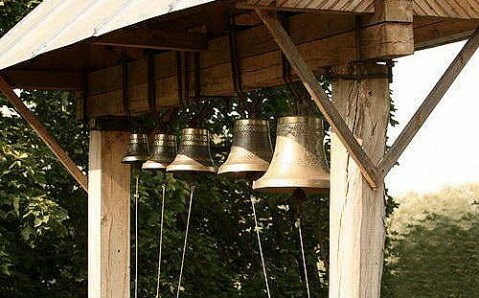 But in the 13th century, it was destroyed during Mongols' and Tatars' invasions of Kyivan Rus. In the early 18th century, during the Northern War, the St. Nicolas Church was rebuilt. New temple was placed on the same steep hill's top as the previous one. Apropos, in pre-Christian times a pagan idol stood here. It was a single-domed many-tier church that fascinated visitors with its perfect architectural forms and harmonically blended in surrounding landscape: its pyramidal shape was a harmonic continuation of the hill, where it stood. The St. Nicolas Church stands out from other architectural constructions by one detail that is characteristic for Ukrainian folk architecture - door esconsons have chamfered corners. In the 19th century, the temple was somewhat extended - portico and sacristy were adjoined to it - and its forms became even more attractive. 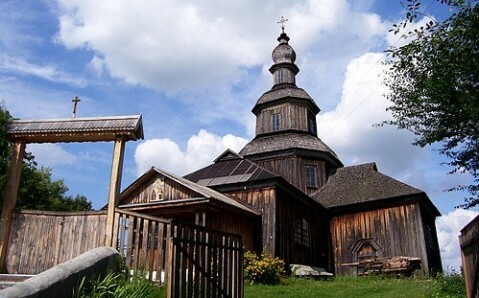 In soviet times, when large-scale anti-religious campaign was carried out and churches were mercilessly destroyed one after another, the St. Nicolas Church was closed. Being abolished for a long time, it started to gradually fall apart. 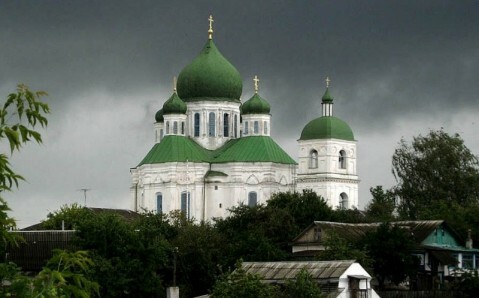 Only after the World War II, the building was reconstructed: at first, an exhibition was opened there, and then - after Ukraine acquired independence - it was returned to Orthodox Church. 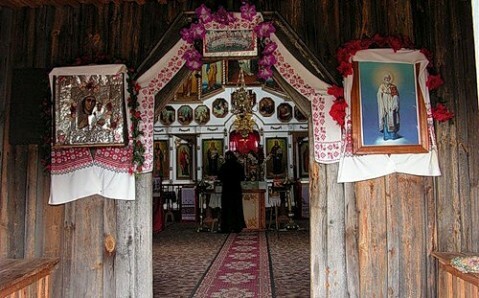 Thus, today the St. Nicolas Church is a functioning temple. However, not only believers come here, but curious tourists, who hurry to admire this unique architectural monument.